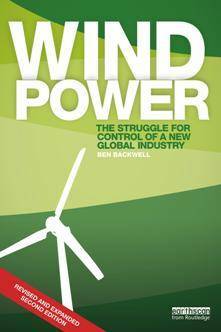 Wind Power The Struggle for Control of a New Global Industry, Second Edition | Free eBooks Download - EBOOKEE! The wind power business has grown from a niche sector within the energy industry to a global industry that attracts substantial investment. In Europe wind has become the biggest source of new power generation capacity, while also successfully competing with the gas, coal and nuclear sectors in China and the US. Wind Power looks at the nations, companies and people fighting for control of one of the world's fastest growing new industries and how we can harness one of the planet's most powerful energy resources. The book examines the challenges the sector faces as it competes for influence and investment with the fossil fuel industry across the globe. Over the course of this volume, Backwell analyses the industry climbers, the investment trends and the technological advancements that will define the future of wind energy. This second edition is revised throughout and contains new material on frontier wind markets and industry consolidation, as well as the cost reductions and market gains that led to 2015 being a landmark year for the big wind turbine companies. This is an important resource for professionals working in wind and wider renewable industries, energy finance, conventional energy companies and government as well as researchers, students, journalists and the general public. No comments for "Wind Power The Struggle for Control of a New Global Industry, Second Edition".